Our city has had many creative and fantastic murals. 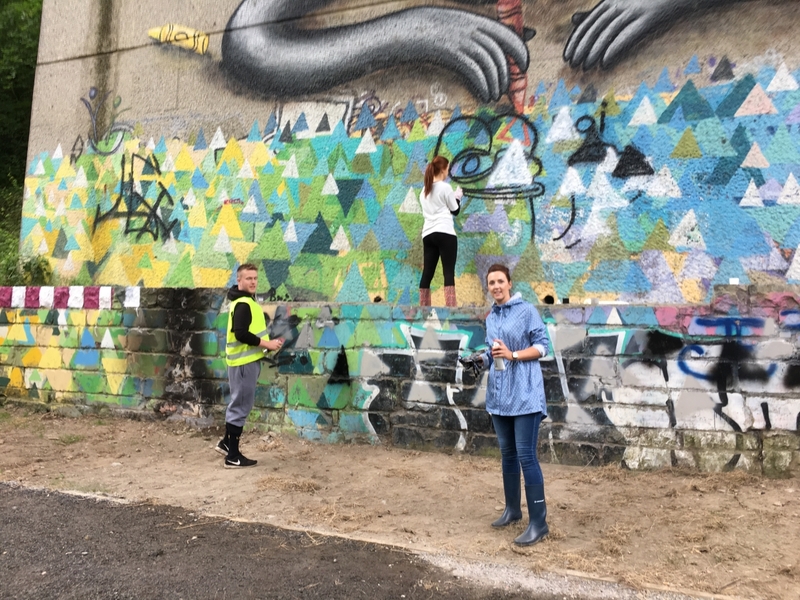 These are generally commissioned for specific locations by Kilkenny Co Co, local businesses and voluntary groups and also by Keep Kilkenny Beautiful. Repairs and cleaning of important murals is also undertake as required. This work in conjunction with a “spray it over” and “clean it off” policy has meant that Kilkenny has a very low level of graffitti through out our city. 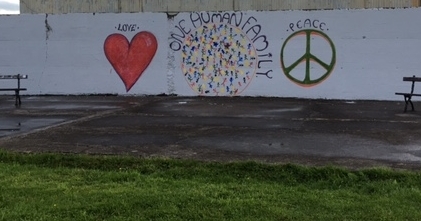 Ossory bridge mural recently completed. 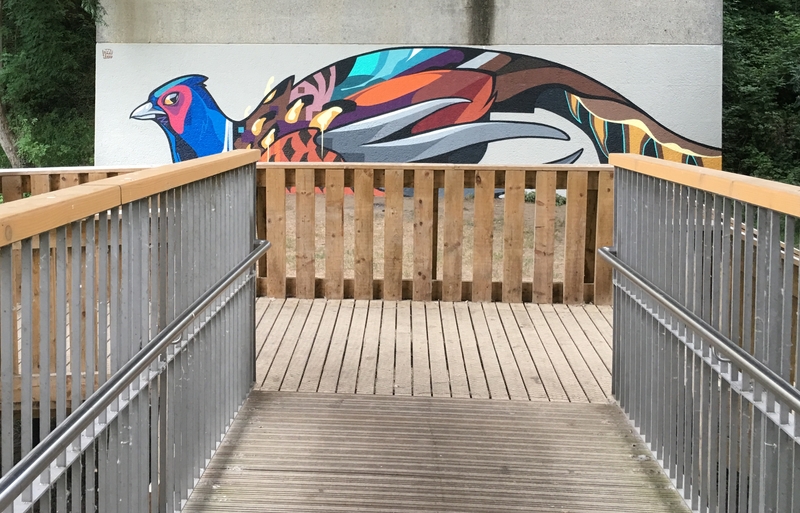 Fantastic mural on Ossory bridge newly completed this summer. The large scale the Mural works well with the well used pedestrian Bridge at this location. 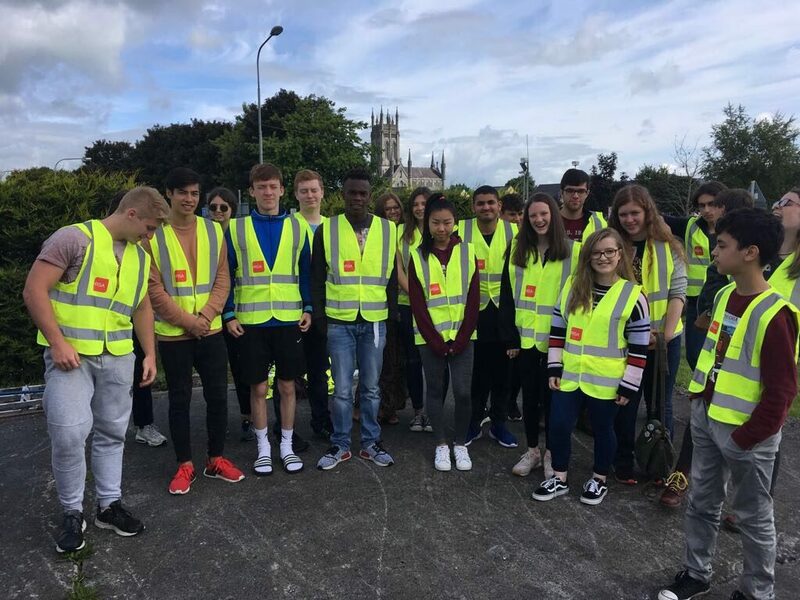 Bahai Youth Group with members from all over europe worked to Keep Kilkenny Beautiful this summer. 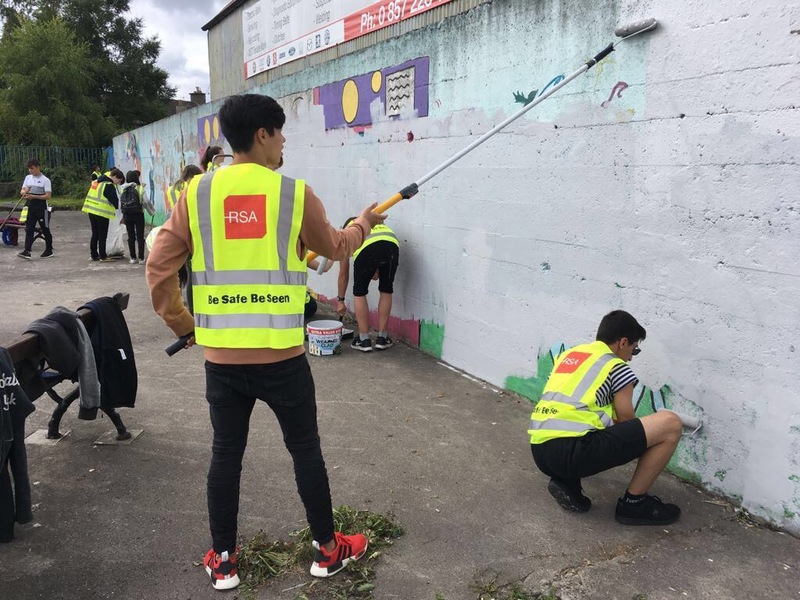 What a great way to work with the community! Work under way at the Closh! 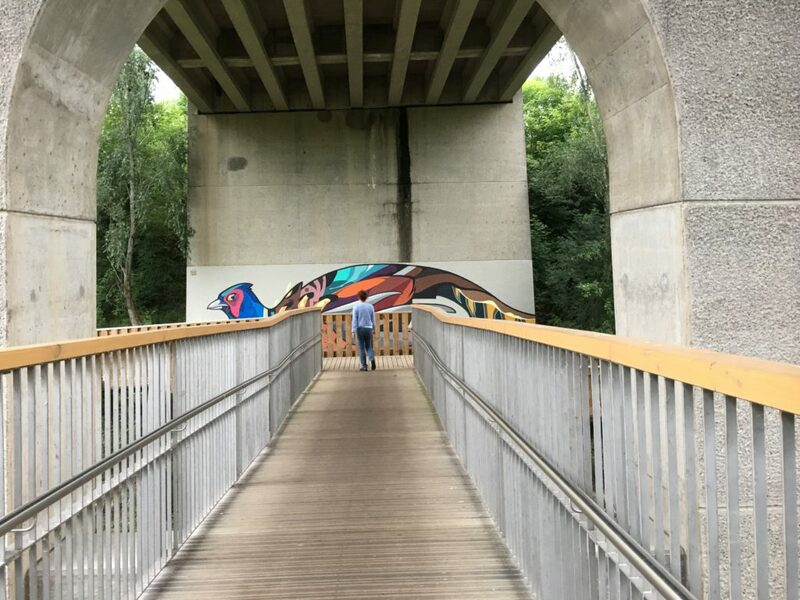 New mural at Peace Park facing the river Nore. 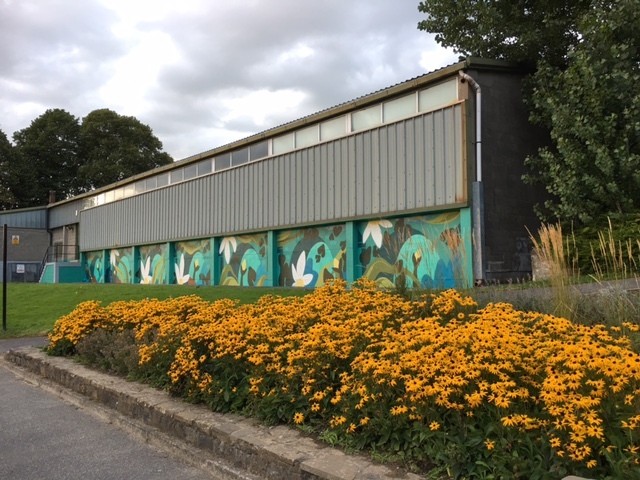 The newly completed mural complements the colourful Peace Park wild flower planting. Newly repaired St Mary’s Lane Duck, thank you to Paris Texas for comissioning the work! 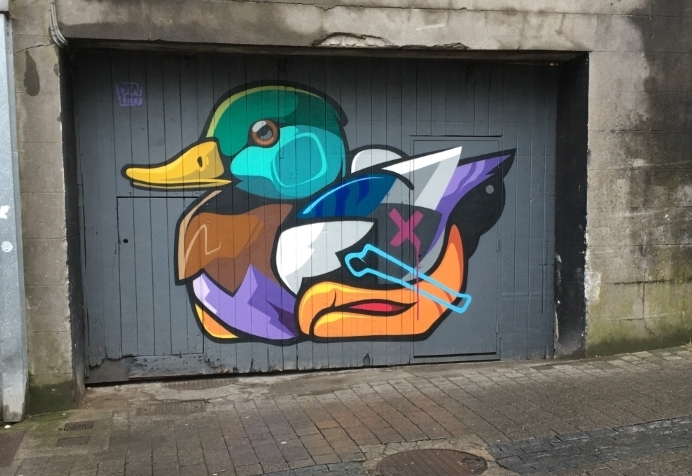 This entry was posted in Cityscape, Kilkenny City, News and tagged bahai, bridge, closh, colour, duck, group, Marys Lane, mural, Ossory, paint, paris texas, park, Peace, youth by KKB. Bookmark the permalink.